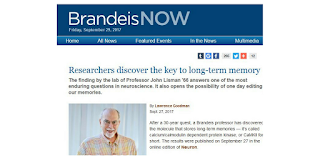 Professor John Lisman has discovered the key to long-term memory. After spending 30 years working on this, he has discovered the molecule that stores long-term memories. The results were published on September 27, 2017 in the online edition of Neuron. For more, information check out the BrandeisNow website. 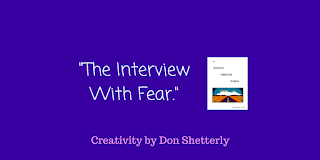 Check out the "Interview With Fear" that I wrote in the book, A Journey Through Words. While it is cute, it is written from my own personal narrative when I was waging my battle with fear. Years ago, when I went through Conversion Disorder, I struggled with moments that the doctors hardly understood, let alone had terminology for. I remember having a "panic attack", as it was called at the time, and given a pamphlet to be taken home to read. The only thing is the panic attack was a symptom of a much larger condition. Up to that point, the doctors had only diagnosed me with Multiple Sclerosis, which was later found to be wrong. I would not know for some time that the diagnoses were Conversion Disorder, depression, and anxiety. The doctors kept these things from me in those days. We were all focused on getting to the point I could walk again, as I was paralyzed at that point. The goal was to get me integrated back into my regular daily routine and activities as quickly as I could, but I'm not sure anyone thought it was possible. When I got home from the hospital, I remember waking up that first morning. I heard a lot of people outside my door. Peering through the window, I noticed what appeared to be a yard sale by my neighbors. This would be considered a reasonable thing by most people but all of the sudden, I would find myself shaking, crying, and struggling to catch my breath. I was scared beyond belief. I tried to hide on my couch, but the people's noises and talking would not stop. I had no idea what was going on with me. I felt as if I was going to die. I didn't know what to do. Calling my doctor, he prescribed medication for me and then I made the bold gesture of trying to go out and make it to the pharmacy. I made it about two blocks before my legs were shaking so much and my breathing was to the point I felt like I was going to pass out. Driving a stick-shift pickup was not easy, and I managed just to turn around and go back home. Nothing was calming down. My breathing was way off and challenging. I felt so full of despair. I finally called a co-worker friend to get the prescription for me. The medication helped, but it knocked me out for hours. There would be many more times I'd have to deal with anxiety, from venturing outside my house to trying to get back to work, to going inside a store. Anxiety would hit me hard and take me down quickly. I learned to go without stimulants like sugar, coffee, chocolate, soft drinks and anything that might kick my body up. While that helped, it wasn't the cure - but it helped. I had many sessions of therapy where we would work through the anxiety issues, but it seemed as if they were never-ending. Another thing I did was to keep a small rock in my pocket wherever I went. I learned that if I felt a panic attack coming on, I could reach in my pocket without anyone knowing and just grab ahold of the rock. To me, it felt grounding and safe so that even when my life felt out of control, the rock helped bring me back. Life was a struggle. It was difficult. Normal things to other people were difficult life-challenging issues to me. In those days, I wondered if I would ever make it. I wondered if I would get beyond this and back to a normal life. I have since learned so much more about how to deal with anxiety. Even at times when it gets the best of me, it is nowhere to the level of full-blown panic attacks that it once was. I have done so much intense and deep healing work using Unified Therapy that the anxiety is a fraction of what it once was. 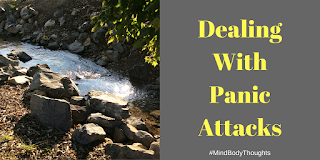 While the mind plays a starring role in a panic or anxiety attack, the body is what generates it. This is the most helpful revelation that I have found in my healing. Ignoring the physical presence of why it is coming up makes it harder to deal with anxiety. Dealing with what the cells of the body remember is where freedom and liberation from a whole new level takes place. I never was one to accept a condition I had or a label handed to me. I fought those hard, and I still do. I know that if I latch on to the condition I was given, I see myself as that issue, not as potential for healing. I desire healing. I've fought the odds against so much that I was not supposed to conquer. Even to this day, I do not accept where I am. I'm always striving to push forward to places that too many believe do not exist. As I heal more and more, I am finding that there is so much hope and possibility. As I get older, I am beginning to see things differently in life. I guess that's part of the maturing process because what once seemed to be important has shifted. I see things differently. I understand things differently than I once did. Through these changes, I'm seeing that everyone has strengths and weaknesses, good and bad. We've got moments where we triumph in our life, and we shine with all our strengths, abilities and talents. However, we've got the other side. There are the issues we struggle with and the weaknesses we harbor within ourselves. Sometimes these flaws and shortcomings are on display for the whole world to see. At other times, we hide them from anyone outside of where they exist. I've learned that I can be vulnerable with people close to me and it is okay. Being vulnerable is not easy for me, and I really thank Brene Brown for what she has taught on this subject. Sometimes I just don't want anyone to think I'm what I think I am inside, even though my view may be distorted. In many ways, I think we are all like that to some degree with some more so than other people. There are some that completely distort how the world and those close them see their lives. 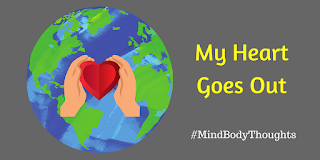 In fact, at one time before I went through paralysis and Conversion Disorder, everyone around me thought I had the world together and I was happy all the time. I was good at hiding things back then. I remember my mom going to work and she could be as sick as one could be, but no one would see it. I learned so much from her how to hide my true self from the world. Yet, at the same time, it meant I kept myself from interacting with the world and possibility and joy. One thing I have noticed is that we tend to see ourselves in a more perfect light when we try to impress everyone around us. We don't want everyone to see our flaws. We hide it and distort it and paint the picture of what we want them to see. Sometimes there are moments where this may be needed. Yet, deep inside we sometimes feel fragile and damaged and not having much skill, talent, or good to our lives. Even when others see how much we offer, we sometimes cannot see this in ourselves, and so we hold the "frail" image of ourselves as the measurement of all that exists in life. If we go too far with hiding ourselves from the world and not allowing ourselves to be vulnerable, we tend to go around lashing out at others. We join the bandwagon with the rest of the folks tearing others down, hurling hateful insults against one another and highlighting their issues. It is the way we hide from ourselves because if we put the spotlight on others, we insulate our true self. Social media gives us a high speed interstate to point out the issues of others and focus on the distorted view we see within ourselves. It is one of the negatives of social media that sometimes really frustrates me. Of course, it is our choice how we interact with it personally, but I hope that we can move in the direction where we use it for positive change, not hate and insults and unconsciousness. All of us have our issues. We were born with them, and we picked some of them up along the way through our families, schools, communities, and circle of people we know. It is okay to have issues, but hopefully, we learn from them while recognizing that instead of pointing out the issues of everyone else, we can do much more by working on our own. I keep challenging myself to be more and learn more about my life. I don't want those days pre-Conversion Disorder when I showed that everything was fine to the world and I was in a hundred kinds of pain. Being real and authentic and working to improve our lives each day - that's the ticket to becoming more and learning from our issues. After reading Jody's last column, it got me thinking. In the column, she wrote about "how it feels to be adopted." I love how she shares some of the most personal parts of her life to help others find healing in their own lives. For a long time, I thought I was adopted. I truly did. I had nothing to back it up with, and while every account made it sound like my parents were really my parents, it was hard to believe. I went through life thinking that I had to be switched at birth or adopted or something. How else could you explain the horror and torture, trauma and abuse that I went through? I didn't think there was anyway a normal family would do this to their kid. I figured I had to have ended up in the wrong family. Surely then, I was adopted. It probably wasn't until well into my adult years that I got to meet some of my cousins. The physical characteristics were similar in many ways. Even though I didn't want to accept that this was my family, I began to see that I was NOT adopted. I know there was a time early on in my life where my mom had to choose between me as an infant and my dad who had hepatitis. From what I was told, it was very contagious, and for some reason, she chose him over me. I don't know all the particulars or details and probably never will. However, I always felt that separation anxiety with my mom, and it never left even until the day she died. There was another time I was told that when I was very young, something happened and I came to live with my cousins for a time. I don't remember it. I don't know the details, but once again I was separated from my mom. When I would go to church camp in the summer, I struggled to be away from my mom for a week. I was always worried that she would be there when it was over. When I would see her at the end of the week, I'd cry uncontrollably making my dad feel very uncomfortable. It always felt like I had to be good enough to get chosen or loved by my mom. My dad was another story. I don't think he ever really wanted me that badly and my life made his life feel threatened. Even until this day, I struggle with feeling that people who love me are going to leave me. They will want nothing to do with me. They will choose someone else. I struggled hard with that. I think this is the part that really resonated with Jody's column post. I'm glad she wrote the post because it helped me to explore this further. In my relationships now, I struggle to think that anyone would love me enough to keep me. I feel like I will at any moment be cast off as not wanted or not needed. It affects my relationships because people do love me, but I'm so afraid of being abandoned that I hold others at a distance. More and more I'm coming to terms with what that felt like to be passed over and not chosen. I know I was too young to put it into words, but it impacts me in a big way. I do try to keep telling myself that what I went through years ago, was what happened then. It is not what is going on now. One day I hope I will understand this more, but without the details of what truly transpired, it is hard to put it into context. 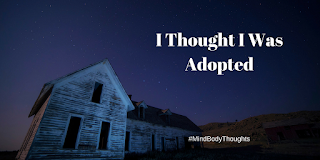 I was NOT adopted, but some days it felt that way, and at times, I wish I could have been born into another family. There are so many things happening in our world today that some days I'm not sure how to respond. I"m not sure I have the words or the actions or the thoughts to respond appropriately. I feel lost in a tormented sea that we call life and humanity. I feel lost in a never-ending cycle of hatred and disrespect. I write to try and make sense of things. I write to try to understand my own thoughts and not allow myself to get stuck in what is going on, but what can be. It is the only way I know to move through the horrible trauma, stress, and difficult moments in life. My heart goes out to those impacted by natural disasters because I know from firsthand experience that it changes a life forever. What you once held dear and steadfast no longer remains. It shakes the foundation of all that you have come to know, but I know that you can rebuild and come back from it. I'm not going to say it is easy, but I know it is possible. My heart goes out to those who find a way to interject their hatred upon others through just about every story or event of our day. My heart weeps for those that do this because it is not what humanity is about, or the display of what it means to be working together to advance life on this planet. I weep for those that are impacted by this because the hatred (often disguised as love and truth) hurts each and every member of civilization. My heart goes out to all those that have been abused, and are struggling to find their way in the darkness. Their footing may seem shaky, and the lights of their lantern may appear dim, but they are trying. They are hurting, and my heart weeps for them. I wish I could swallow them up with a giant hug of love and support and take the pain away. I know though that healing is a part of their journey and so through the pain, they will find their way. My heart goes out to all those that are not awake, living outside of their body, or not connected to the real source of life within their existence. There is so much more, but I understand how desensitized we can become, falling for the latest flashy thing of the day. I realize how much humans minimize things and therefore diminish all parts of their life. 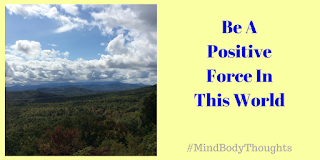 I know we can be more if we stop and connect with our mind and our body, not just one or the other. I know of no other way to deal with things. I know of no other way to help than by letting my heart be my guide. My heart goes out. Hopefully, we can begin to turn the tide of hatred and evil poison in this world by first making sure our hearts are pure and clean. 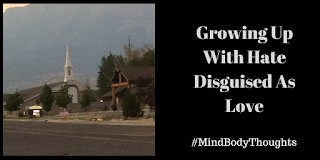 We need to love ourselves fully and begin to purge the toxic poisons that fill our mind and body. Through loving ourselves and cleaning our own lives out, we can be there for others with a heart that is willing, ready and can help bring new possibility to difficult moments. Let each of us, individually, focus on lifting the world up, not dragging it down. There are very few things I read that have such a great impact on me. 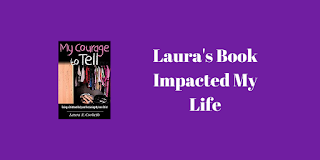 This book that Laura Corbeth wrote, My Courage To Tell, is one such book. I'm stunned with how much it touched me. I'm stunned at the way a chance connection made this possible. 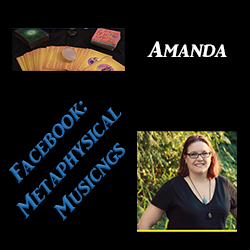 Soon, I'll be sitting down with Laura to conduct an interview that will be shared on this blog.  Anyone who has followed this blog for very long knows that I too wrote a book about some of the experiences I went through growing up. 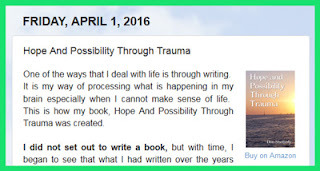 It is called, Hope And Possibility Through Trauma. Part of what I experienced, in addition to the sexual abuse and torture, was psychological abuse like what Laura shares in her book. I've actually never heard anyone talk about it so eloquently as she did. She shared her story and through it, her own self-discovery and realization of healing her life. Laura was so open in what she shared. The psychological stuff for me included the following... and this is only a minor list. My brother tormented me all my life. He lied a lot, and that’s one of the things that resonated with me from her book. I used to hate his lying so much. He would lie about the stupidest things. We had these tiny little plastic American Building Bricks that I loved to play with. When he would lie, my dad would get mad at both of us and threaten to throw them in the fireplace. I finally got to the point where I’d speak up because I was tired of being punished because of his lies. He did many horrendous things to me. Another that resonated from the book was how he would pin me down. He was overweight and much larger than me. I was a small-framed kid. He would get me down on his back and jump up and down with his knees on my upper arms as he stretched them out on the ground. I still suffer from the physical pain of that. I was beaten and hit by my brother and dad. I’ve had a garden hoe taken to me, a shovel and belts/boards – whatever they could get their hands on, they would use on me. For a long time in my life, I would find rocks and sticks to hit myself with when life got too rough. As a kid, my older brother hit me with a round point shovel and caused me to bleed. He tried to keep me from going inside to get my mom to help me. He didn't want to get into trouble. When Laura talks about the frogs, I’m overwhelmed. I saw what my brother did to a frog with his bicycle when I was in kindergarten. I saw my dad kill my pets to help silence me. I saw my brother and my dad be mean to my pets. My dad got mad at my dog and shot the dog as it was running down the road. 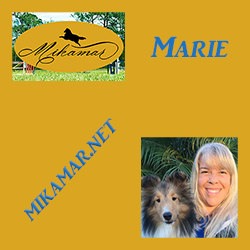 When my dog finally died of cancer, I was in college, and as it spent the last few days at the vet’s office, the vet and I cried over the phone – when he saw the buckshot still lodged in the feet of my dog. I’m a fierce protector of animals. I have a degree in animal science. No one ever got away with hurting any animal under my watch. So many things that Laura shared in her book sounded all too real to me based on my own experiences. I still struggle and deal with what I went through because it runs deep. I continue to work through them, and heal my life to the core with every new realization that appears. I cannot believe I survived and made it this far in life. I'm beyond ecstatic to see someone like Laura share her story in the way she did. When I was reading the book, it took me a day and a half to finish it. I could not put it down. Laura does an excellent job of weaving the events together into a story that captivates you and holds your attention. I strongly suggest you check out her book, her website, and the podcast interview she did because it is very enlightening. See the links below. We've all got our stories, but if we don't share them, the abuse and horror will continue. It is up to each one of us to do as Laura did and share your story. You will touch others, and through touching their lives, they will find more possibility and hope and healing. Our silence gives a fertile soil for abuse to continue. Make a difference by speaking up and telling your story. If you would like a platform to do this, let me know, and I will help you. I'm always careful that it is not about vengeance, as Laura discusses, but instead that it stands up and says, "I'm taking back my life." This subject is one I still haven't fully learned. Maybe it is because it is a human condition that we employ when things get a little too tough. 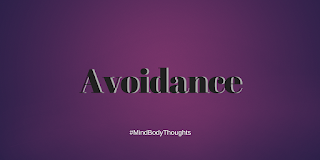 Avoidance is one of my go-to-coping skills, but when I avoid things, I tend to make them worse. It was my survival tactic growing up in a world full of trauma and abuse. Take for example the recent tooth pain that I kept trying to mask and ignore. I found ways to compensate for it that kept me disconnected from it. I'm amazed at just how far I went so I didn't have to deal with it. I avoided it instead, and by doing this, I've probably caused myself a lot more expense. Avoidance is being employed by almost everyone at record setting paces these days. Times are tough in life right now. We are going through horrible moments as a civilization on this planet. The atmosphere and energy all around are divisive and toxic. Everywhere you look there is something that is upsetting. Even if you try to distance yourself from all of it, the feeling of that toxic energy is still prevalent. To deal with it, we do as I did on the tooth pain. We turn to things that distract us and keep us from dealing with reality. We consume things to help give us comfort. We act all happy and smiles when we're crumbling inside. We put our attention on anything but the moment that is happening before us because it is just too difficult. Avoidance can be good in the short term. It may help you get from one moment to the next so you can deal with the issue. However, when we continue to avoid the issues that are troubling, we only do harm to our body, mind, and spirit. We take in the toxic poison as if it is our sustenance, thereby hurting us for years to come. Avoidance brings us out of consciousness and awareness. It puts us in the passenger seat instead of being in control of our life. When we are out of control, the fear and panic and despair set in causing us further long term effects. During these times of immense stress and toxic poisoning, we owe it to ourselves to reverse the course. There are things we can do to help alleviate it and take care of ourselves, rather than just giving in to what is happening. Here are some things that help in moments like this. Try spending some time outdoors listening to the birds and feeling the rays of the sun upon your face. Try feeling the wind or breeze on your skin and just feel every bit of it that you can. Trying focusing on your breathing for 30 seconds or a minute at various times during your day. Connect and feel your breath. This does not need to be elaborate and can be very simple. The act of stopping and noticing your breath can be very centering and be grounding in your body. Learn to disengage from the toxic conversations occurring online for they are not as helpful as they may seem. They get the body and mind all revved up as if you are going into battle. Online conversations do little but fuel the fire and hatred that is so prevalent in our society these days. If you disengage, you are stating to yourself that you are valuable and worth more. Learn to shut off the TV because the news is not enlightening as you may think. The videos and sounds and opinions stated are meant to engage you into an emotional reaction. The more you keep your emotions wound up to the max, the less you are connected to your body. In time, it leads to avoidance of your mind and body. We all have choices we make. We may or may not be conscious and aware of them, but we make these decisions every day. Either we employ avoidance, or we stand up and choose differently what we engage with in a day and all that we take in with each moment we are alive. You don't' have to hide your head in the sand to what is going on, but a fraction of the toxic poisoning these days is more than enough. It may help to picture yourself drinking a glass of toxic poisoning each time you engage with what is going on in the world. However, before long the effects of the poisoning would be felt. If we want to change the world, we need to stop avoiding life and learn how to give our mind and body a choice of rest and peace, comfort, and love. We need to choose wisely because if we don't, we will pass the point of no return, and then it will be difficult to find our balance. What are some ways you avoid difficult things in life? What do you do to deal with them? Share your thoughts in a comment below. I've been through some challenging moments lately. In fact, it was getting to the point where I was beginning to question my own existence and if I wanted to continue in that arena. I can take many things, but after a while when layers build upon layers, the weight gets to be almost too much. In the past few months, I've had body memories of past abuse surface and cause me terrible physical pain, including a rash that would not go away for months. I struggled to figure out how to let go of it and heal. Normal methods that once worked were no longer working, and I was left feeling helpless and lost. The next thing I knew, some healing work started to shift the rash and my life, just as dental pain came front and center. I had been neglecting it, but then it got so bad that the pain got my attention. I'm addressing these situations now, but as a result, I can see that it has been holding me back. Here I have been asking the universe for help while ignoring it at the same time. This brings me to why I'm pausing with a thankful heart. I had a couple of things gifted to me out of the blue, and the timing of them could not be more perfect or more complex. Even if I tried to tell the story, I would not know how to weave it together. It all came together in a way that leaves me standing in awe with a thankful heart. Both of these gifts feel a little suspicious to me (in a good way). They feel suspicious because I'm not sure why they are entering my life at the time they are and in the way that they are. All I know is that the universe has my attention. No need to put any more flashing neon lights up. I see what is behind it. In fact, an angel card that I pulled yesterday and today signaled that there is more to this than just something being gifted to me. I'm so thankful for what the universe has done, and I'm not going to squander it in any way. I'm not going to discount it. I will embrace the possibility of these things to help me see further than I can see. I had to be reminded once again that sometimes we ask for things in a certain way, but they often show up differently. I am pausing today with a thankful heart full of possibility and awe. 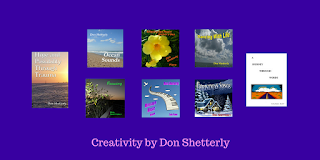 If you've been around the blog long enough, you probably know that I'm an author and music artist. If not, let me take a moment to just introduce myself and what I create. I am a survivor of child sexual abuse. At age 26, I suffered from Conversion Disorder and dealt with paralysis, suicide attempts, depression, and anxiety. I was a workaholic and perfectionist. I could not let anyone down, even if it meant total destruction of myself. As much as I thought I knew how to deal with stress, I honestly had no clue! For years I fooled myself until it caught up with me, and my world came crashing down. 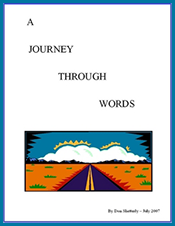 The two books I have written are part of my healing journey through the torture and trauma I experienced. I am currently finalizing a new book with an expected publishing date of early 2018. If you found this page through a tweet I posted, it most likely corresponds to one of the books below that is idenitifed by the picture in the tweet. 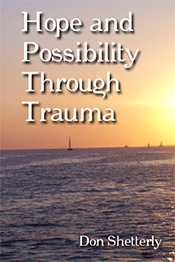 Hope And Possibility Through Trauma is my full-length book helping those who have been through so much in life. 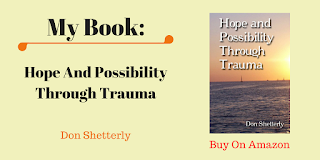 If you've experienced childhood sexual abuse or trauma or other horrific moments in your life, this book will speak to you and help give you hope and possibility that you too can heal. Available on Amazon. 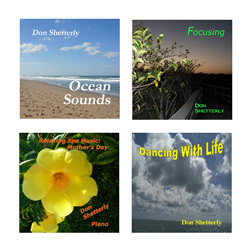 These things I have created are part of the way I help support my life and my purpose of working to help others. I know how difficult it is to deal with pain, and through my creativity, words, and music, I want to be there for others. I want to help shine the light for them to find footing on their own path. Many have asked me to allow donations, and if you want, you can always do that at https://www.paypal.me/DShetterly . However, I would like to ask that you help support me through the creative works I have available. Click the images and links above for ways you can do this. I continue to do the things I do out of love in my heart, and I just put these options as a way for others to join this cause. I know many are hurting and I work hard to be a voice of support and help through the painful moments of healing in life. Stay tuned, because there is another exciting project coming very soon! Here are my observations about my experiences right now, and I'm recording them to help myself not to forget as well as hopefully help others by sharing what I've been through. This is not an easy experience dealing with dental pain, but I am trying to learn as much as I can as I go through it on my open. The pain is opening my eyes. 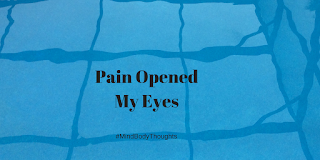 While I know that pain will get your attention and will increase until it does, sometimes I know we (and this includes myself) numb and disconnect from it so much that it takes a baseball bat to wake us up. I know that, and I'm sure most people do, but somehow we still numb and disconnect from the pain. I've realized that the dental pain I'm dealing with is something I've been living with for some time now. I've altered so many things unconsciously just to deal with the pain and numb it. In fact, I didn't realize I had even done this. For example, when eating, I have learned to eat on the side of my mouth to avoid the pain. Another example is we have learned to eat things I can eat, so I didn't have to experience the pain. I've learned to just live with it because the fear of dealing with the pain was so great that I just numbed my conscious thought to it. That's the thing we humans do. We numb and disconnect our conscious thought and awareness to the pain. We do it without realizing that we do. We do it automatically. As much healing work as I've done on my mind and body with respect to trauma, I still do this. It is an unconscious behavior. 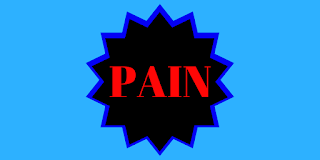 Pain is there, and even if we feel some pain in our body, our unconscious behavior can minimize it or alter how we see it. It can keep us from truly seeing all aspects of it. More importantly, it prevents us from seeing beyond it and framing our mindset and perspective about the bigger picture in life in a way that opens up to possibility not restricts us from being more than we are. Pain takes over my life. It prevents me from seeing things in clearness and reality. Often I don't completely know it is there. Often I disconnect from it. Pain increased to the point of getting my attention. I sometimes close my eyes to the pain. I find ways to disconnect from the pain automatically. One thing the dentist said that was like a big ah-ha moment for me was that "I deserved to live a life without this pain." While that may be one of those statements that sound so simple, it was anything but that to me. I sometimes see the wounded part of my life that doesn't deserve to live a life differently than the trauma and abuse that was done to me. I record these things as part of my own processing of the events that are unfolding. It is my way of making sense of all that is happening in my life at this moment. As I go through this process and learn more about my life, I realize that all this time I've been trying to numb and disconnect from it, that it was taking far more energy than if I would have just got it treated. Yes, I know it is easier to write those words than to put them into practice, but I can't help but think, "I should have taken care of this a couple of years ago because it might not have been as bad." Hopefully I've learned from this and my intent is to not let myself forget the ways that pain has opened my eyes. Communication with Spirit is not something to take lightly. Unfortunately, the lure of Hollywood Spirit work through horror movies, which fans are devouring at break neck speed, has increased the popularity of certain “spiritual” tools. The main one I’m thinking of is the Ouija board. The thing that most bothers me about the Ouija board, besides it being marketed as a game, is that parents are purchasing this for their children. Here is my issue with Ouija boards. Most people pull them out on Halloween or at parties. No prayers are said, no intention is set and the gateway is open for anything to come in. Maybe you grab the board to communicate with spirits you know, but if you don’t set that intention, you may get more than you bargained for. Kids are high vibrational beings. Given that they are so high vibrational, they are likely to draw in pretty much anything, and you may end up having to have someone clear your house of something that’s been inadvertently brought in. Boundaries are important in life and in Spirit work. They define who and what you will accept. Consider your sacred spiritual space as your home. You wouldn’t let just anyone have access to your home, right? That’s why you have locks on the doors and only the people you allow have access. The same should apply to your spiritual practice. As I’ve said before, spirit communication takes a lot of self-development. There’s constant learning and growth. As you are working on that and opening yourself up for communication it’s a good idea to get boundaries set on your home as to what you will and will not allow. My mentor suggested that I get the Qabalah Solid Copper Jupiter House talisman. If you follow the link, you’ll get more information. This talisman is referred to as a great protector and bringer of abundance. It keeps your house protected and keeps anyone with negative or ill will away. If you purchase one, make sure that you replace the batteries in your smoke alarms. Mine hangs over my front door and I found within about a couple of weeks of hanging it, we had to replace our smoke detectors. I think this is because the energy in the house changed. This happened to my mentor as well as a couple of other people she knows that have picked up the talisman. In hanging this talisman, you are setting a boundary that only good intentioned people and energies approach and enter your home. Look at that! Boundary set. When creating my sacred space for readings, I burn white sage and walk around the perimeter of the room where I am doing my readings, including specific focus around the doors and windows. I ask that only high vibrational energies for the highest good of my client (insert name here). Here’s another boundary I’m setting. I’m only looking for energies related to the particular client I’m reading at this time, not a free for all of any spirit that happens by to come in and chatter. I invoke the Archangels that I feel are important to my readings (I prefer Azrael and Gabriel) and ask them to help me be an effective channel between this world and the next. I pray that my client get exactly what he or she needs from the reading, and that they leave feeling empowered, inspired and uplifted, perhaps with a different perspective than they came in with. Then I open up. Lots of people ask me if I get information all the time, like when I am at the grocery store or walking down the street. I explain that I usually only get information when I’m open to receiving. Typically before I start a reading I will create my sacred space, call in the Archangels and then call in all the guides, Guardians, Ascended Masters, Master Teacher and deceased loved ones who wish to communicate for the highest good of my client (insert name here). I state my name and that I invite them to come in and speak to me and through me with any information required at this time. Then I state that I am opening the channel. It’s kind of hard to explain, but my channel looks like a tube that comes out of the top of my head (crown chakra) and goes up into the universe. When it’s closed, it has a piece of wood through it, so nothing can come in or go out. Picture a piece of wood on the end of a hollow tube. Why wood? I don’t know. It’s just what I visualize. 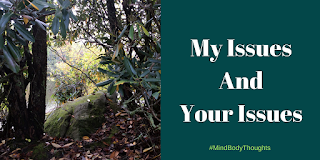 Maybe the connection to earth and nature, keeping me on the physical plane. Anyway, I slide that piece of wood off the tube in my mind and I always slide it to the right. Then the channel is open and spirit is welcome to come in. I do the reading, and then I close the channel. Once the reading has ended and the client leaves, I thank all spirits that came through for their participation in the reading. I release the client and the spirits with love. I sage the room again around the perimeter, with a prayer of gratitude for the spirit participation as well as the gift of mediumship. Once the room is saged and the prayers said, I close the channel to spirit since I am finished receiving. I picture that piece of wood sliding left, back over the top of the “tube” and state out loud that the channel is now closed. Bada bing! I clean up and my session with spirit is over. That’s why I don’t get information in the grocery store. Although…. Sometimes I can get information when I’m not “tuned in”, but I mentally ask for it. I think as I have developed my communication, I am able to turn it on and off quickly without going through my whole ritual. For example, if I am looking for information about someone I see, or if someone asks me a question, I might quickly ask, but I try not to make a habit of it. I wouldn’t just go walking into your house, so I wouldn’t just intuitively barge into your life. Privacy is important. A lot of people tell me they are afraid to channel because they are worried something scary or negative will come in. If you set specific intentions on only allowing high vibrational energies or the specific person you are looking for, that should help with what comes in. You could also state that any negative or low vibrational energies are not welcome and must leave now. In closing, be careful before embarking on communication with spirit. Get the self work done and the boundaries set first. Be choosy on what you allow. 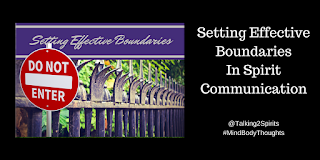 Boundaries are a great thing to have in life and in your spirit work. You are the only one who can determine what you will and will not allow. Stick to your guns and choose wisely. Sometimes, I don't always listen or heed what I write sometimes. I'm no different than anyone else after all. I'm merely human too. Yes, I'm admitting it. Yes, we humans don't always practice fully what we preach, but it doesn't stop any of us from preaching it! For some time now I've been having extreme pain in my teeth. In fact, I had gotten to the point where I didn't really notice most of it. That is until it got so bad. We can go for a time ignoring and numbing pain in our life, but when it gets too bad, that is when the pain gets your attention. I have written about my dental anxiety and fear many times on this blog. Regardless, each time I go into a dentist office or attempt to make an appointment, it is the same intense fear that I encounter. It is a paralyzing fear. It is the point where I convince myself that I can put this off. When the pain finally gets my attention, I realize I cannot ignore it any longer. For some time, I've used some homeopathy remedies to help, and while they helped, they didn't solve the issue. I needed to go get things taken care of, but I used the remedies to further disconnect myself from it and let the fear win. I still remember the nasty dude on social media that instead of being helpful, he came at me with a vengeance because of how I was dealing with the teeth issues. I still marvel at how people who think they have the answers will bash someone in the head if they don't agree. That's another story for another time. Anyway, when the pain got so intense, it over powered the fear and anxiety I had. There was no going back. There was no second guessing it. The pain was far more intense and challenging than the anxiety, and that's a big statement! Fortunately, I've found a dentist that cares and is kind and gentle. I explained that my difficulty is because of the torture and child sexual abuse I went through as a kid. Making an appointment to see the dentist invokes intense anxiety in me. Walking in the door is monumental. Getting an x-ray feels like I'm being tortured and abused leaving me in a state of panic where I can hardly breathe. I know a ton of stuff about relaxation and staying connected. I know and practice many things including breathing, but there is nothing that prepares me for dental experiences. I hate taking medications of any type, but in this case, I will take the happy little pill that takes the edge off of the anxiety and fear. It is the only way I can get in the door for dental procedures. With the intense pain that was getting my attention, I saw just how physically exhausting it is. It almost consumes and takes over my body at times. It alters how I view myself and the world around me. Sometimes though, it feels like this is normal to my body and even with all the work I've been through, at times I forget it isn't. The dentist told me before I left her office that I deserve to be pain-free. You know, I had not thought about that until that moment. I've learned to live with the pain of being tortured and abused and sometimes it is easy to forget, that I don't have to live with it. I can choose differently. As I approach the day I entered this world, I'm drawn to the bigger view and purpose of my life. If I live to the expected length of life, I'm well past half way through my life. It makes me stop and pause to contemplate what this means. I don't care how much I get ahead in this world to make someone else wealthy. I've already been down that road and I saw how many employers (contract work and regular corporations) only care about their bottom line. Their employees and contractors are human chum that can be replaced at any time. I have no desire to be a part of that world any longer. I don't care how many things I have in life. In fact, I keep trying to de-clutter and reduce what I already have. Things are not important to me. They are temporary. They are not the human experience to me. I don't need the latest and greatest phone or electronics or the most beautiful and expensive house and car. There is far much more important to me than material possessions. It doesn't matter what the latest gossip of the day is or what celebrity has done what lately. It doesn't matter if I'm up-to-date on the most recent news headline of the day, for most of it is just fear replicated over and over to the masses. I see things more clearly now than I ever have in my life. I see that friends and loved ones are what matters. Losing people close to me makes all those that come into my life that much more special. I see memories and experiences being far more valuable than any possession I could buy. They give me a richness and fullness in life that nothing in a store could ever do. I see that purpose and personal growth far outweigh anything the masses push as being important. I know there is more in life and I want to partake of every morsel I can get. Life is much more about finding myself and growing and learning and loving every facet of life I can discover. It is about awakening to so much more, not succumbing to the latest water-cooler talk that happens in our day. I want to make a difference in this world and although I have friends who tell me that I have, I feel that there is so much more to accomplish. I feel like I have a life that craves much more and sees more. I feel more, and so things that others may discount become monumental to me. I cannot hold a blind eye to them. I cannot shut them off as if they do not exist. As my life and years proceed, I'm learning to let go and realize that in letting go, I gain so much. In the letting go of past pain, my life is healing and opening up in ways that I never even could believe were possibilities. Twenty-six years ago today, my life came to a standstill. I was paralyzed and on my last breaths of air as I tried to travel toward the bright white light. I heard then, "it is not your time, " and now I understand more and more what those words meant so many years ago. I have no clue what tomorrow holds for me, but I am content in knowing that today I allow my life to connect with others, hoping that I help them lift their own lives up from pain and despair. I hope that by learning how to love myself, I can offer and show love to the world, healing it of the pain and distress it is experiencing. May my life in the next year to come be more than it is today. May I get to that year marker and look back in awe of possibilities I could not even fathom at this very moment today. As a kid, we went to church, every Sunday morning, Sunday night, Wednesday night and any other day there were activities. Church services and prayer meetings were the norms for our lives. Days and meals were planned around it. No one was exempt from going, and you were expected to be there. In each prayer meeting or church service, the participants (our family included) talked about loving one another. We talked about how we were somehow different from all the rest of the population. We talked about how we were holier than all the rest of the people living on the planet. We tried to be good people and do the right thing most of the time. We sought to be honest, upstanding, loving, kind and generous when we could We put our offering in the collection plate and sometimes I saw my dad give their entire life's savings while we starved, but we were doing it in the name of all that was holy. We didn't mind the gossip that went on in the church because we didn't call it that. Instead, we referred to it as prayer requests. We'd offer up prayers in the circle while many would raise eyebrows at hearing the news of various participants. That was okay though because we were praying about it of course. We would get back in the car to leave the church service or prayer meeting and boy that is when the discussion of the prayer requests (a.k.a gossip) would start up with intensity. It was as if there were only a few minutes to discuss it. I would listen as my parents talked without a pause. It would bother me, but you didn't dare stand up and say anything for fear of being beat. You couldn't expose the error in what family was doing because you got it when you got home. I just had to sit there and listen to it while it made my stomach turn. Yet, we were a loving family who was special and went to church. Gossip was something others did. With the same breaths of love and kindness, we would turn our attention to all those that we disagreed with from our neighbors to other members of the church. The minister, of course, was not exempt with this, but because it was in the secrecy of our car and home, no harm was done. After all, we proved that we had love for one another. If people thought differently than what the ruler in our family proclaimed as the law, we despised them and distanced ourselves from them. You could say that we hated them, but then no one would have admitted that in this moment or at any time. For we were Christians. We were called by God so we could not have hate. We didn't know that our actions were hate filled. Never mind the domestic violence and child sexual abuse that was going on in the family. Never mind that the thought of sparing the rod and spoiling the child was enacted to the extreme. These were regular parts of our family while we acted as if we loved everyone and hated no one. I escaped from that life, and it was not easy to leave it behind. Because of other situations in my life with healing from Conversion Disorder, I had to walk away from my entire family to save my life. I was cast out as a son that was brainwashed by psychiatrists who didn't know that his family loved him. I was shoved aside until I came to my senses. All the loyalty that had been demanded of me throughout my life was now cut off because I no longer lived by the family code I grew up with as a kid. To this day, I see those in my family who still practice the hate. They disguise it as love, but the hate has blinded their hearts. They no longer can tell a difference. It is sad observing it from outside the family. Some days, I can barely believe this is the family I grew up in. I see things happening in the world and our country which reminds me of those years I have longed to forget. The one-way loyalty and the hate disguised as love. The superiority of some as they lift themselves up over the ones they have trampled. I see a disdain for what is really the truth, hidden by everything under the sun that is not. If you tried to confront anyone about this, they would laugh and spit in your face. Yet, the same people puff themselves up as the arbitrators of truth, justice, and love. Instead, the judgment shown by most people towards others, even the ones that cloak it with some love, is one of the most hurtful things you can do towards another. I grew up in the church and the family that judged everyone while we smiled, hugged them, and told them, "I Love You!" We thought we were the best that life had to offer. We thought we were right and everyone else was wrong. 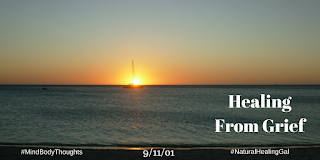 As I've put distance in my healing from my family, I realized just how wrong we were. We were not only part of the problem, but we were the problem. No one wants to look hard into their own life and see the garbage then need to throw out the window. No one wants to acknowledge their actions and thoughts and words as being not only part of the problem but the problem facing this world. Everyone is quick to judge everyone but themselves, and I weep at the sadness of this behavior. Living life in this world is not always easy but the more we hide our heads in the sand, duck behind the knowledge of truth, the more we make it an arduous journey. We're not as great as we proclaim because a great life is seen through actions, not words. We can speak the words, but if we do not live the life that we preach, we are nothing more than a clanging gong. What is in our heart and mind and body is what we display to the world. We can mask our hate and project it on to everyone else, but until we go in and search our own heart and mind, we will be part of the problem. Let us open our eyes and become aware of what we truly do, not what we say to convince the world. I work each day to de-program my mind from the brainwashing I endured as a kid. I work each day to love others through my heart and actions, not just the words I write or say. Every day, I strive to release all the toxicity and poison that was pumped into me as I was taught the truths of life. I am the only one that can change how I live my life now. My heart is sad when it comes to the events going on across our country and the world. This is not about politics, and if you think it is, you're sorely mistaken. If you know me at all, you know that I do not subscribe to what the masses say on any level. I see people that are so angry and so hurt. I see people that are asleep and numb and disconnected. I see individuals who view others as the enemy, not as humans walking this same planet. It pains me. It hurts me. I weep, and yet my tears do no good. There is far too much hate and too little love. There is far too much judgment and too little understanding. We stand opposed, rather than united to journey through our lives to discover more about who we are. I'm perplexed because everyone points the fingers at each other. We exclaim that we know what is best and all others are stupid, dumb, or irrelevant. We fail to listen to each other while we scream how worthless all others are. We hold out to the world just how enlightened we are and righteous and good. We hold out to the world that we are superior and we know all. We hold out to the world we are peace loving and conscious. Yet, our actions contradict our every word. If we do not find peace within ourselves, we will not find it throughout the world. If we do not learn to accept ourselves, the world will never accept us. If we see others as stupid or idiotic or misguided and wrong, the rest of the world will see us in that way. It does not matter what the world proclaims. It matters more what you feel and think and believe on the inside. If you want peace, it must first begin within you. If you want love throughout the world, it must first begin within you. If you want others to accept you as a valid human, you must first accept others in the same way. We're at a crossroads I believe in humanity and either we keep heading down into the darkness of the world where there is no peace, or we rise above it all. It is solely up to each one of us, but it isn't just words. It is action that backs up our words. It is action that shows what truly is in our mind, body, soul, and heart. Let us be a force for positive change by changing our lives in a way that shows what love and peace are to the world. 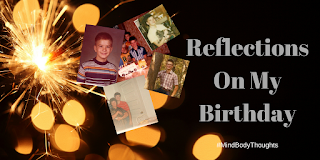 This blog post is about taking a hard look at who we are as individuals and seeing what role we truly play in the world. I implore you. I beg you as the reader to help make a positive difference through taking stock of your own life. I'm attempting to do the same. Together we will make it further in this harsh world, rather than divided where we will not stand. Let's stop pointing the fingers. Let's cease to be part of the cycle of hate. Instead, let our lives show love so brightly that it will take over the darkness. I love this video because I believe it says so much. It is Matisyahu singing and performing "One Day." The words speak volumes.